The world building idea of the tree as continent with a complex society of people inhabiting it is cute. The plot and characters are fun. 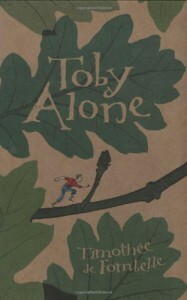 The structure perturbed me a bit - I didn't like the parallel narrative, where we follow Toby's escape, interspersed with flashbacks of his life, throughout the whole novel. Which is interesting news to me, because I'd been thinking of trying it myself.